Alison Brynes specialises in property development and property management. She has a firm understanding of the complex range of legal issues and challenges that affect Registered Social Landlords, property managers, charities and community groups. She deals with complicated site acquisitions, site assembly, commercial and residential leasing, title issues, property management, development agreements, security agreements, property sales and care and support contracts. A large proportion of Alison’s work relates to site assembly and the acquisition of development sites. During the development stage Alison assists clients in the setting up of factoring arrangements and prepares the Deeds of Conditions required for subsequent sales. Alison also leads the team who completes the sale of properties within such developments through LIFT schemes including shared ownership and shared equity. 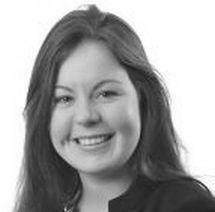 Factoring – Alison leads the firm’s team on factoring issues including managing mixed tenure. She can ensure your organisation is fully aware of the policies and procedures associated with the Property Factors (Scotland) Act 2011. She is a key speaker at external events on factoring issues and has provided training to a number of organisations including the First Tier Tribunal for Scotland (Housing and Property Chamber), SFHA, CIH Scotland and SHARE. Regeneration – A key member of the regeneration team in TC Young, Alison deals with all aspects of both rural and urban regeneration. Working with community based groups, Alison has been involved in renewable energy projects and community buyouts under the Land Reform legislation. Stock Transfer – A principal member of the property team involved in the second stage stock transfer from Glasgow Housing Association (GHA), Alison was involved the transfer of large numbers of stock from GHA to various local housing organisations and the securing of this new stock to various creditors.